Marcie Cohen Ferris grew up in a rural, northeast Arkansas town called Blytheville, very aware that she was Jewish and everyone else wasn't. But the way she contextualized her small place in a big gentile land had nothing to do with Friday night temple or Sunday morning church. It had to do with food. "I knew we ate differently than other people in our community, and for that matter, the larger South," says Dr. Ferris, PhD '03. "There were times when we ate a 'pig sandwich' at the Dixie Pig, our local barbecue restaurant. We didn't keep kosher, but I saw those divisions—and my mother drew the line and didn't serve barbecue at home. Being a Jewish Southerner, you're kind of an outsider-insider." Now, as a professor of American studies at the University of North Carolina in Chapel Hill, the 57-year-old Dr. Ferris still uses food to understand the world, specifically, the American South. "Because of food's place in popular culture today—think about the reach and power of the Food Network and reality television," Dr. Ferris says, "Southern food in particular has become disconnected from its history and its ROOTS." 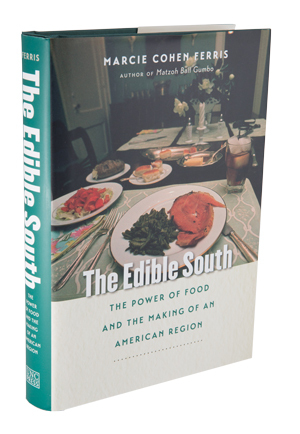 In her most recent book, The Edible South: The Power of Food and the Making of an American Region (University of North Carolina Press, 2014), Dr. Ferris examines Southern history through a culinary lens, covering everything from prehistory to the civil rights movement, where restaurants became a battleground in the fight for racial equality. "[Food] helps us understand power and class and race and issues of gender," Dr. Ferris says. "Food adds a deep sense of texture to understanding American life, no matter what era you're in." They have been obscured by stereotypes, like racial caricatures and the notion that all Southern cooking lays waste to both heart and waistline. Ms. Ferris says advertising firms and Hollywood, notably, in the early 20th century sold a romanticized, exotic South—think Aunt Jemima and Gone With the Wind—to consumers, along with a deep-fried, racist mythology centered on African American cooks, insultingly portrayed as more magicians than creative, innovative chefs. Meal, meat and molasses, that's what. The "three M's." 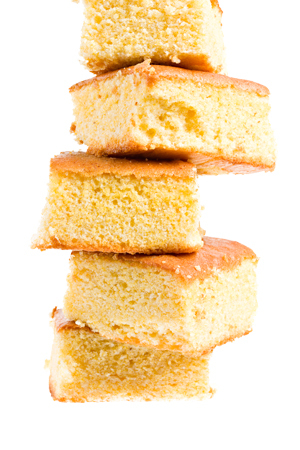 For poor black and white farming families, up through much of the 20th century, meal (cornmeal or wheat flour) made biscuits a thrice-a-day staple. Meat, although there wasn't much of it, almost always meant pork, and it was the cheap cuts that came from giant processing centers in the Midwest, not local farms. There was also bacon and lard. And molasses, the third— and most nutritious—"M." Southerners ate molasses three times a day, too, getting crucial amounts of iron, copper, manganese and potassium, plus calcium and vitamins. So what is the classic Southern meal? "Cornbread, fresh tomatoes, maybe a cured sweet potato from last year, a mess of greens or whatever's in the garden right now, field peas flavored with a little fatback [a cut of fat from the back of the hog] or bacon. That is a wonderful plate," Dr. Ferris says. "It's a very African-inspired plate. It's got a deep history behind it and represents the triad of Southern cuisines—Native American, African American and European American." It's also basically unchanged since the 1700s. With more than a hundred marathons underfoot, and counting, George Banker, BBA ’84, keeps his focus on the long haul: 50-mile “ultramarathons” and a sweatshirt that money can’t buy. Blair Townsend, MD '12, is a man of adventure and tan year-round. He's climbed Kilimanjaro, he's skydived. He's also a Navy diver. Mr. Gosbee is president of the GW Alumni Association Board of Directors. He succeeded Steve Frenkil, BA '74, in June and has been on the board since 2003.